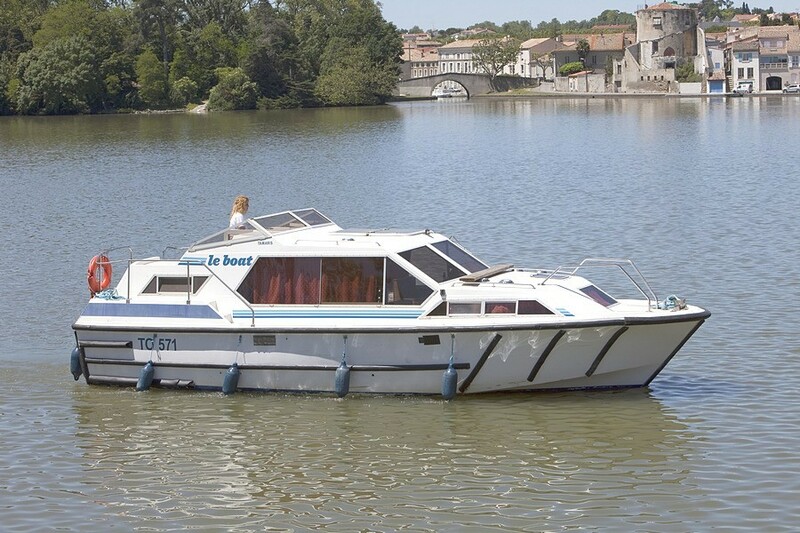 Good looking cruiser offering excellent accommodation with two steering positions. 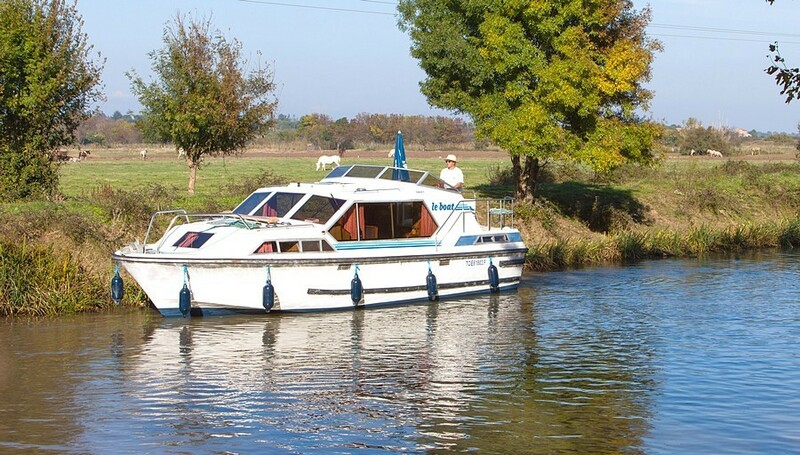 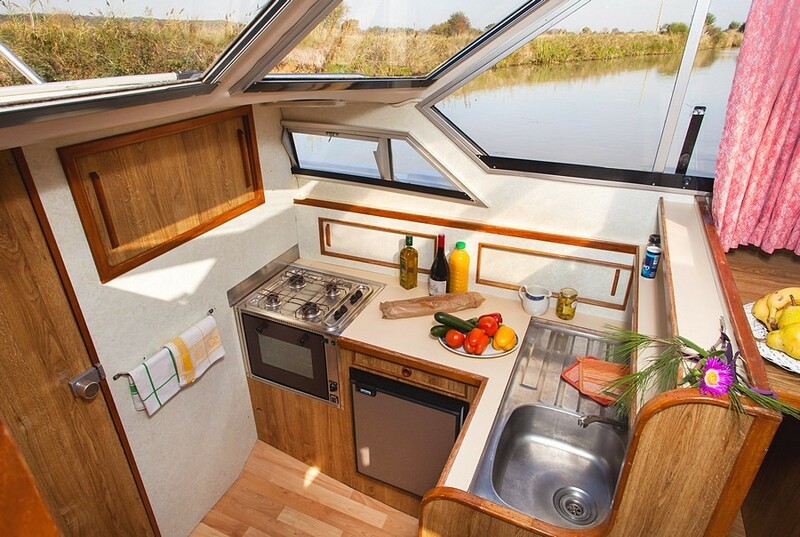 Forward cabin with two single berths convertible to a double (not in Alsace and Burgundy). 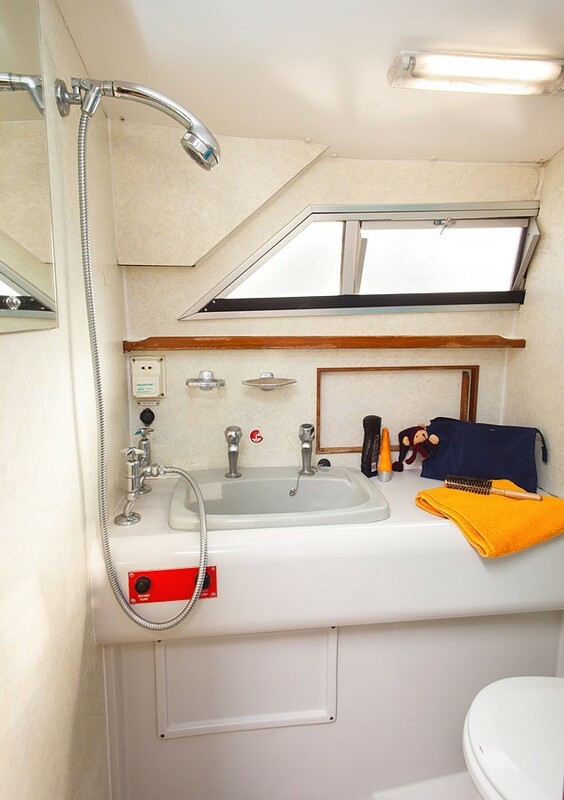 Adjacent bathroom with shower and toilet. 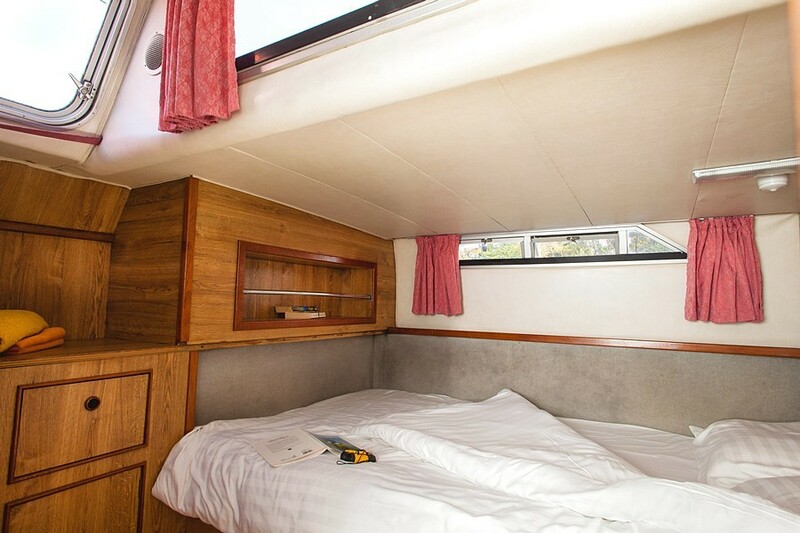 Spacious saloon with interior steering position, opening roof, dining table, convertible double berth or two single berths. 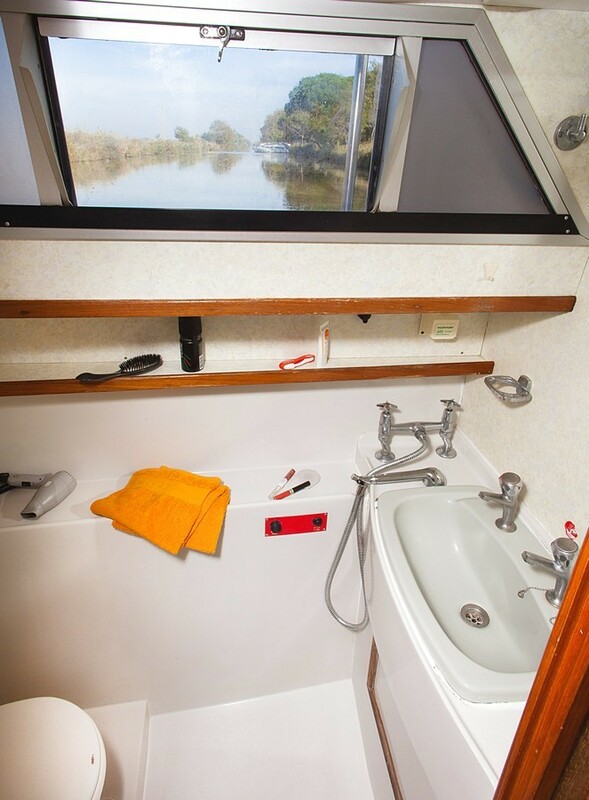 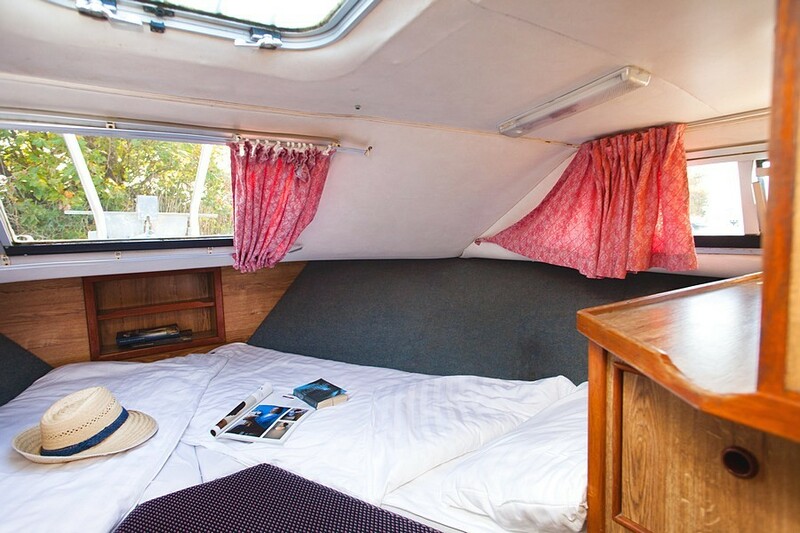 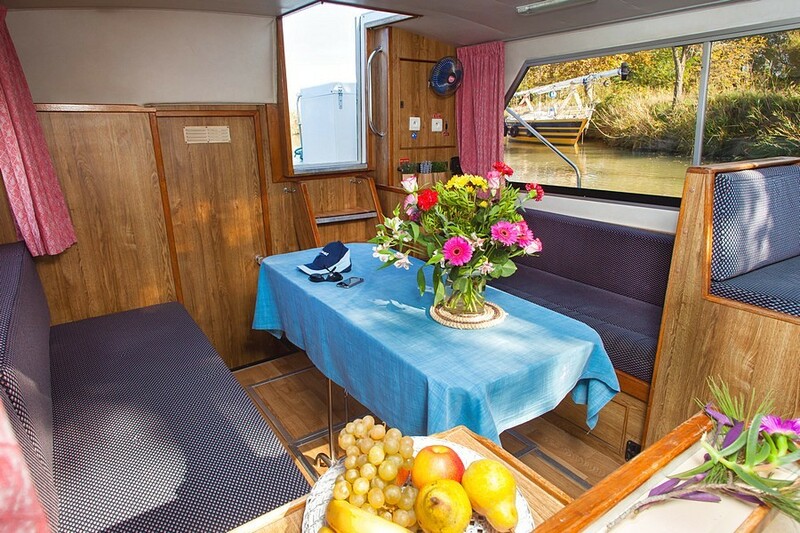 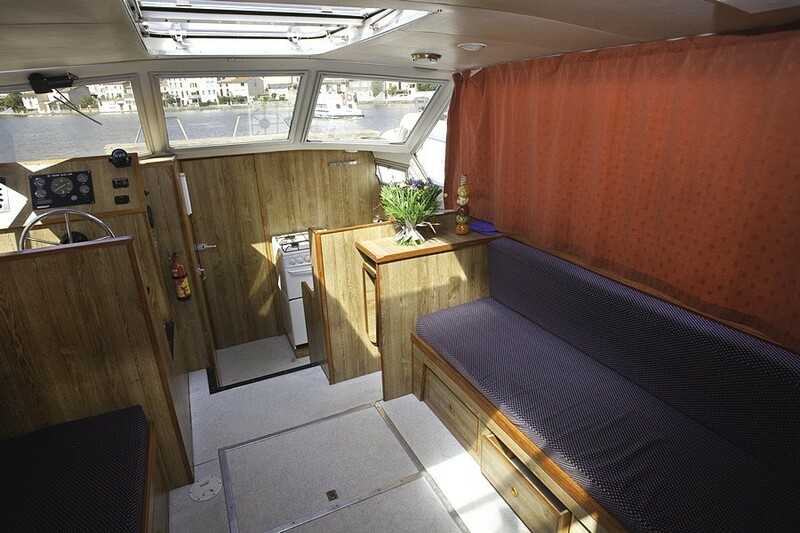 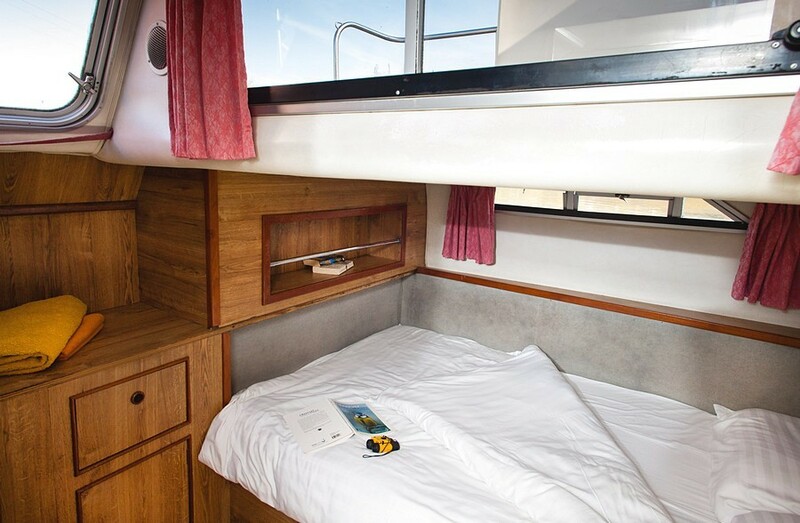 Rear cabin with double berth and en-suite bathroom with shower and toilet. 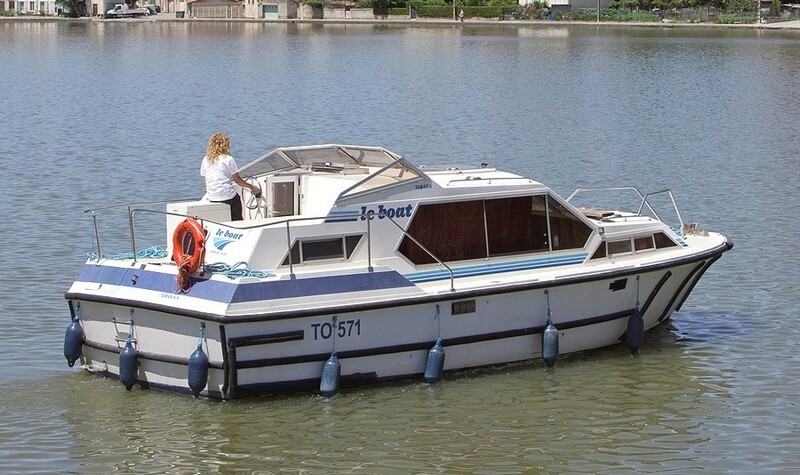 Upper sun deck with second steering position and bench seats.